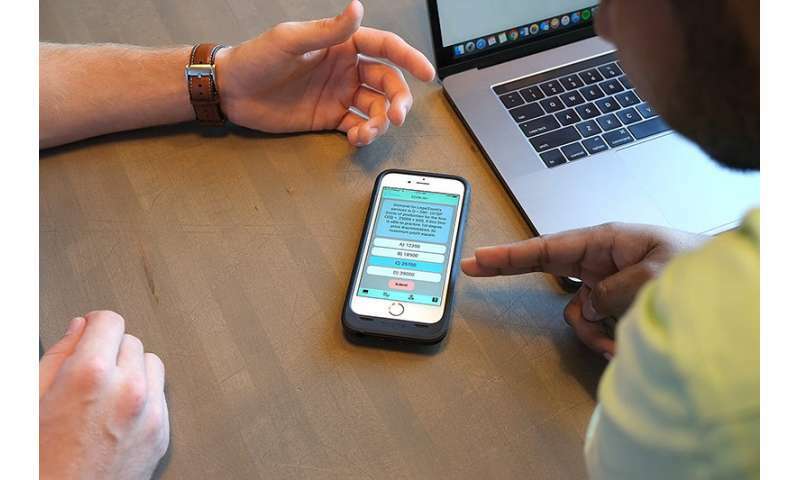 A Purdue University-affiliated startup has created a digital learning platform to improve communication between students and teachers and provide real-time feedback on student comprehension and participation. The platform was developed by Purdue's Krannert School of Management alumnus Charlie Sloan and electrical and computer engineering alumnus Varun Mavilla, the founders of LectureWise. Their product is a software application that allows for graded, in-class polling and content distribution via smartphones. "Students are often not engaged in classroom or lecture content because they are scrolling through various social media outlets or websites," Sloan said. "The LectureWise technology uses these same distracting smartphones to help students become more involved and more engaged. This software also allows professors to have a better understanding of what content their students do and do not comprehend." The LectureWise platform also is designed to help maintain academic integrity and end abuse of current in-class polling platforms, such as when a classmate uses a friend's polling device to answer questions in a poll that counts for attendance points. "The most important part of LectureWise is the proprietary technology we have developed that allows us to effectively eliminate almost all possibilities of academic dishonesty situations presented by current market leaders," Sloan said. "Students will no longer be able to answer attendance-based questions from home or hand off their polling device to a friend to answer for them." Sloan said the LectureWise platform also incorporates features that are not found in current market-leading technology, such as advanced data analytics options for more pinpointed teaching strategies. "While developing this technology, we realized that a majority of similar software is difficult to understand and use," Sloan said. "We want to make this as simple as possible for all parties involved so students and professors can use the product efficiently and hit the ground running." The developers plan to have the technology ready to pilot in classrooms for this upcoming academic year.